WRANGLERS YELLOW ROS is out of Wranglers Deezire who is by World Champion Wranglers War Leo and out of Canadian Supreme champion Oleo Lady Dee. 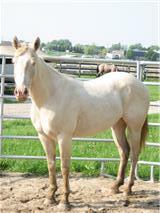 Wranglers Deezire is a full sister to 6 Canadian and European champions in reining and working cow horse events. Wranglers War Leo sired 70 performing horses in all cutting, reining and working cow horse. He was a leading sire of reining horses for the Cow Horse Supreme, through the years of 1989 – 2001 and is on the top 100s list for leading reining sires of the world. WRANGLERS YELLOW ROS is by the YELLOW ROAN OF TEXAS. He has life time earnings of $73 000 and offspring in cutting, reining and reined cow horse with life time earnings of $325 000. Open for the 2016 foaling season. SMOKEN GUN A WHIZZEN is by COLONOL LONE GUN who is a NRHA Bronze Trophy winner, 2003 APHA World Jr Reining Top 10 Finalist, 2004 APHA World Jr Reining Top 5 Finalist, 2002 SWRHA Futurity Int. Open Finalist and 2005 Wimpys Little Step Int. Open Derby Champion. 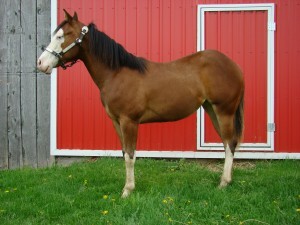 He has 16 APHA Life Time Performance Points and has earned an APHA Reining ROM. SMOKEN GUN A WHIZZEN is out of BRANDY JO WHIZ an own daughter of BANJO WHIZ who was the NRHA’s #1 FRESHMAN SIRE IN 2008 with LTE of $20,480. He was 2003 AQHA World Jr Reining Open Reserve Champion, 2001 SWRHA Futurity Int Open, 4th and Open, 9th, 2005 Buckeye Cabin Fever Classic Open Reserve Champion and Int.Open Reserve Champion and has a total of 23 AQHA Open Performance Points. Bred to Wimpys tinsel town for a 2016 foal. DUAL TIL YER BLUE is out of DUAL TIL YER DUN. 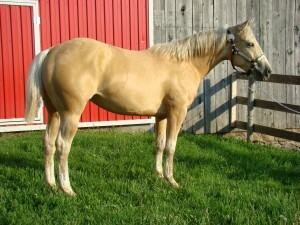 Her dam is one of Dale Dodds mares, GENUINE JEAN, who is a proven cutting horse and a proven producer of cutting horses. DUAL TIL YER BLUE is by BLUE EM AWAY he is a proven cutting horse aswell as barrel horse. His sire is from the Four Sixes ROYAL FLETCH who was the 2001 NCHA futurity winner with life time earnings of nearly $250 000. 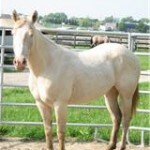 His dam Ja Bars Stormy Lady has life time earnings in NCHA of $7500 with her certificate of ability. All these blood lines have proven themselves time and time again as top notch performers and producers. Bred to sophisticated Catt for a 2016 foal. TWISTING SWEETIE is sired by DOC O LENA TWIST, he goes back to DOC O’LENA. DOC O’LENA earned $21,991.93 in NCHA earnings, along with an NCHA Certificate of Ability. DOC O LENA TWIST has NCHA earnings exceeding more than $123,649. TWISTING SWEETIE’s dam is COQUENAS LAST who goes back to MR SAN PEPPY. She has won $15 000.00 in NCHA earnings and 7 youth points. Bred to SES STRAIT SMART for the 2015 foaling season.